Free opening reception on Friday, June 1 at 5 p.m.
Wilmington, Del. (July 24, 2018) – Wither: Exploration of the Forgotten, a photography exhibit by Shelley Koon, will be on view in the Mezzanine Gallery from August 3-31, 2018. 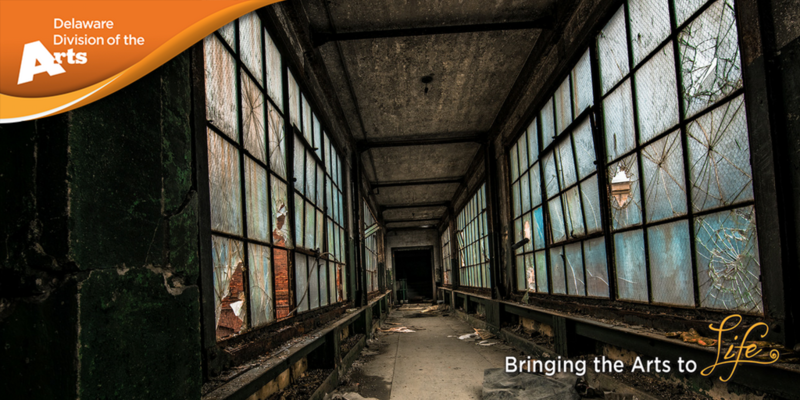 The artist will host a free opening reception on Friday, August 3 from 5-7 p.m.
Koon describes herself as an urban explorer and photographer who has a deep love of abandoned structures. Drawn to the rich, textured tapestry of peeling paint, broken moldings, fractured glass, rotting wood, and brilliant otherworldly colors, she visually documents the history of these buildings. Koon uses a technique in photography called bracketing that allows her to capture images in low light and retain the richness and brilliant color that flash photography would wash out. Learn more about Koon with our YouTube Meet the Artist video series. The Mezzanine Gallery is open to the public weekdays from 8:00 a.m. to 4:30 p.m. and is located in the Carvel State Office Building, 820 N. French Street, Wilmington.